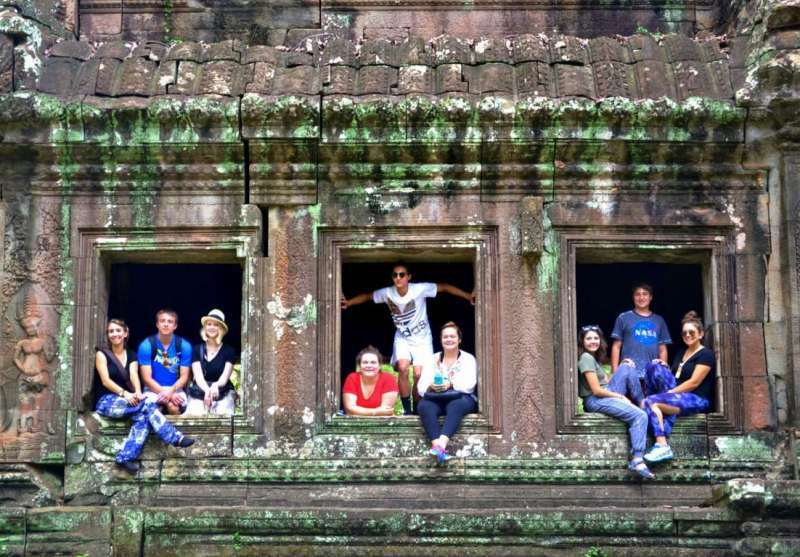 This 12 day Cambodia school tour is a perfect combination between experiencing cultural sightseeing tours, community service and leisurely relaxing at Sihanoukville beach. Your tour starts from Siem Reap city known for its Majestic Angkor Wat Temple and amazing complex, calling in floating house while cruising on Tonle Sap Lake, a largest freshwater lake in Southeast Asia. 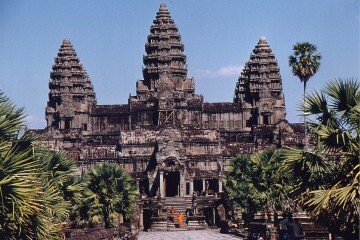 Then flying to Phnom Penh, capital city of Cambodia. Fascinating with Killing Fields of Choeung Ek, one of thousands of other such sites around the country where the Khmer Rouge practiced genocide during the late 1970s and end dipping in Sihanoukville, a coastal province in Cambodia. 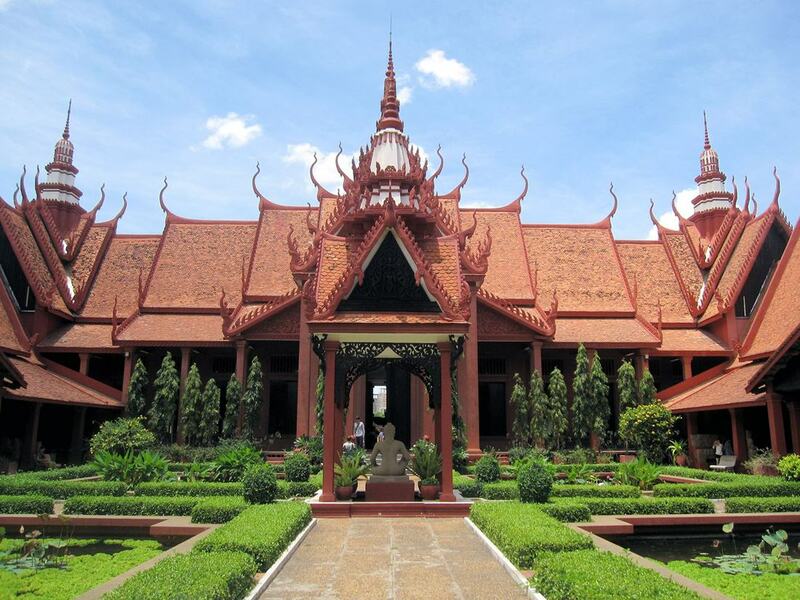 Arrival at Siem Reap Airport, you will be met and transferred to your hotel for check-in. 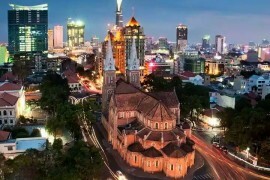 After your short refreshment, you will take an orientation tour including National Museum, Wood and Stone Carving Center, Old and Central Market. Dinner and overnight in Siem Reap. 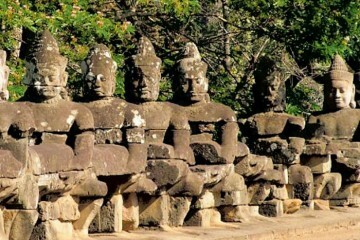 Morning you will continue to visit Banteay Srei and Banteay Samre. 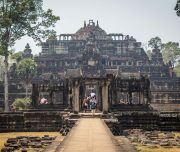 Afternoon continue to Grand Circuit including Pre Rup (Change the body), East Mebon, Ta Som, Neak Pean, Preah Khan and Baksei Chamkrong. 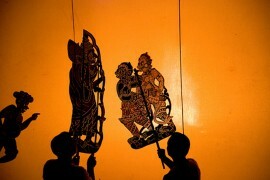 Overnight in Siem Reap. After breakfast, you will take a boat trip on Tonle Sap Great Lake to visit Floating Village and then Les Artisans d’Angkor – Chantiers Ecole where visitors can observe students learning traditional carving and finishing techniques. After lunch, you will travel to local village project location where you will get involved in 3 days ahead. Tonight, after dinner, our guide will explain about the community project followed by an early night in preparation for the start of the project tomorrow. Overnight in homestay. After breakfast each day, you will travel to the project location to start your day’s work. Overnight in homestay. 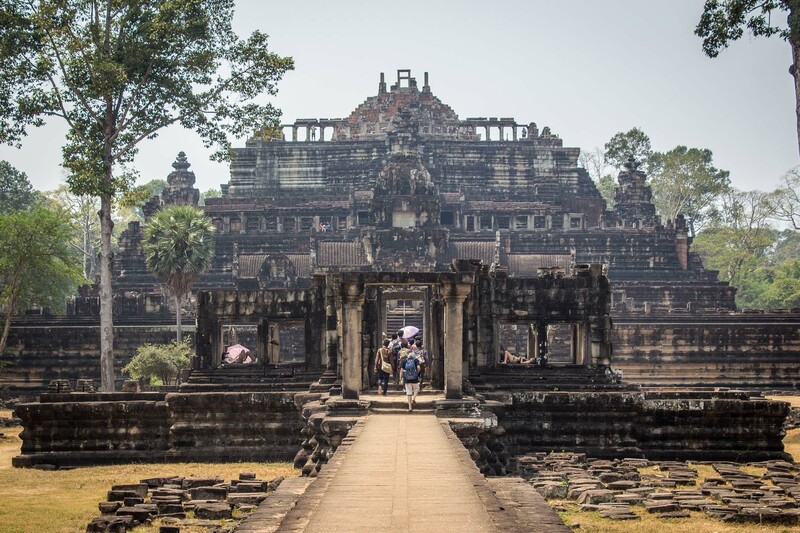 Today you will complete the Community Project and hand over to the local community and then transfer directly to Siem Reap airport for a 45 minute flight to Phnom Penh. Rest of the day is at your leisure. 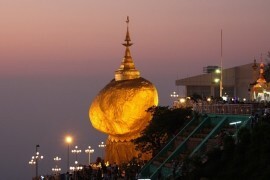 Overnight in Phnom Penh. 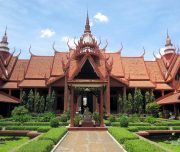 This morning you will take a 15km drive to visit Killing Fields, which are a number of sites in Cambodia where collectively more than a million people were killed and buried by the Communist Khmer Rouge regime, during its rule of the country from 1975 to 1979, immediately after the end of the Cambodian Civil War (1970–1975). The mass killings are widely regarded as part of a broad state sponsored genocide. 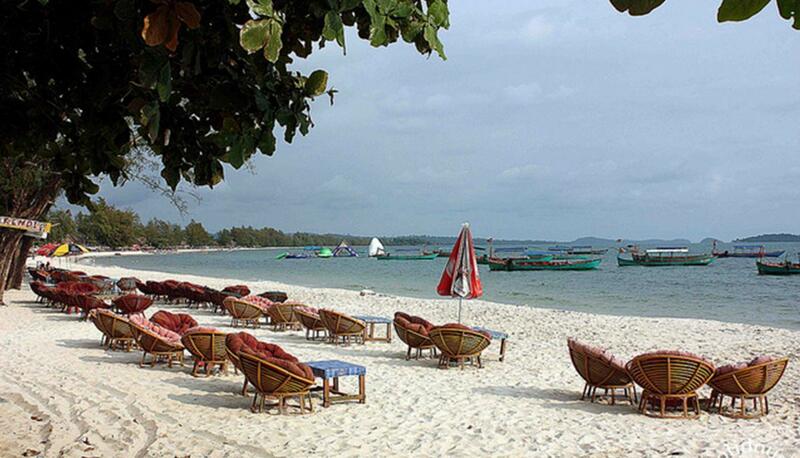 After lunch, you will take a 4 hour drive to Sihanoukville, the best beach holiday destination in Cambodia. Rest of the day is at leisure. Overnight in Sihanoukville. 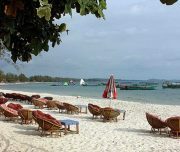 Sihanoukville is located at the coast of the Gulf of Thailand in southern Cambodia, occupying an area of 2536 km2 that includes the foothills of the Elephant Mountains and a sizable peninsula. Moderately developed beaches, a National Park and a number of pristine islands in proximity are natural assets that attract national and foreign visitors. A full day free for swimming or being at your own beach activities. Overnight in Sihanoukville. After breakfast, free at your on pace till transferring to Phnom Penh airport for your flight home. End of services.